In this article various topics like Data security, Electronic Payment System, Laser Printers, Inkjet Printers, Dot Matrix Printers, Number System, Number System,binary code, Digital Signature, Unicode, ICT Audit, Phishing, antivirus software, Audit Trail, MICR etc have been disclosed with detail. Let's know the detail. 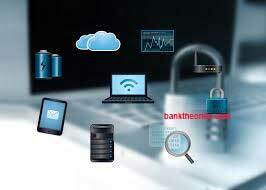 Data security through Encryption & Decryption. In cryptography, encryption is the process of encoding messages (or information) in such a way that third parties cannot read it, and only authorized parties can. Encryption doesn't prevent hacking but it prevents the hacker from reading the data that is encrypted. In an encryption scheme, the message or information (referred to as plain-text) is encrypted using an encryption algorithm, turning it into an unreadable cipher-text (ibid.). This is usually done with the use of an encryption key, which specifies how the message is to be encoded. Any adversary that can see the cipher-text should not be able to determine anything about the original message. An authorized party, however, is able to decode the cipher-text using a decryption algorithm, that usually requires a secret decryption key, that adversaries do not have access to. For technical reasons, an encryption scheme usually needs a key-generation algorithm to randomly produce keys. Laser Printers Inkjet Printers Dot Matrix Printers. 1969 by Gary Stark weather. Developed in the early 1950s. Laser printers use fine ink powder and heat the powder on the paper. Dot Matrix works having pins pushed against an ink soaked ribbon to paper. printers. Black and White or color printers. Continuous (CIJ) and drop-on demand (DOD). Serial Dot Matrix printers and Line Dot Matrix. USD 0.6 for black and white page. Much higher for a color page. USD 0.20 color page; USD 0.4-0.5 black & white page. Approximately USD 60-1000, depending on the size and use of the printer. Basic cost of printer is quite expensive. Compared to an inkjet, dot matrix can cost between two to ten times more. Printing quality is adequate. Best for black and white. Printing quality is good, especially for smaller fonts. Printing quality is bad if printing images. In terms of text, printing is fine. Basic models only offer black and white, with higher models providing color printing. Color quality is a bit poor, with banding. Color printing is sharp and excellent. Smaller is available but is more common in larger sizes. Can be used for wider range of papers (photo paper, vinyl, self-adhesive papers), accurate photographic images, ink is not waterproof. Used for a variety of purposes. Can print on various types of papers. More commonly used for homes as the unit is smaller and ink is cheaper. Used to be used for office uses, but now only used by select places such as banks. Expensive, parts are hard to come by. Prints faster, bigger input trays. Quieter in operation, high print quality, no warm up time, low cost per page. Cheaper to print as ribbon is cheap. When we type some letters or words, the computer translates them in numbers as computers can understand only numbers. A computer can understand positional number system where there are only a few symbols called digits and these symbols represent different values depending on the position they occupy in the number.  The base of the number system (where base is defined as the total number of digits available in the number system).  Uses two digits, 0 and 1.  Also called base 2 number system.  Each position in a binary number represents a 0 power of the base (2). Example, 20.  Uses eight digits: 0, 1, 2, 3, 4, 5, 6, 7.  Also called base 8 number system.  Each position in a octal number represents a 0 power of the base (8). Example, 80.  Last position in a octal number represents a x power of the base (8). Example, 8x where x represents the last position - 1.  Uses 10 digits and 6 letters: 0, 1, 2, 3, 4, 5, 6, 7, 8, 9, A, B, C, D, E, F.
 Letters represent numbers starting from 10. A = 10. B = 11, C = 12, D = 13, E = 14, F = 15.  Also called base 16 number system.  Each position in a hexadecimal number represents a 0 power of the base (16). Example, 160. A parity bit, or check bit, is a bit added to the end of a string of binary code that indicates whether the number of bits in the string with the value one is even or odd. Parity bits are used as the simplest form of error detecting code. There are two variants of parity bits: even parity bit and odd parity bit. In case of even parity, the parity bit is set to 1 if the count of ones in a given set of bits (not including the parity bit) is odd, making the count of ones in the entire set of bits (including the parity bit) even. If the count of ones in a given set of bits is already even, it is set to a 0. When using odd parity, the parity bit is set to 1 if the count of ones in a given set of bits (not including the parity bit) is even, making the count of ones in the entire set of bits (including the parity bit) odd. When the count of set bits is odd, then the odd parity bit is set to 0. A parity bit is a single bit added to a binary data transmission used to indicate if whether the 0's and 1's within that data transmission is an even or odd number. The parity bit is used in parity error checking to find errors that may occur during data transmission. In the picture to the right, is an example of a 8-bit binary number with the ninth digit being the parity bit. ASCII codes represent text in computers, communications equipment, and other devices that work with text. ASCII, pronounced "ask-ee" is the acronym for American Standard Code for Information Interchange. It's a set of characters which, unlike the characters in word processing documents, allow no special formatting like different fonts, bold, underlined or italic text. ASCII is computer code for the interchange of information between terminals. An "ASCII file" is a data or text file that contains only characters coded from the standard ASCII character set. Characters 0 through 127 comprise the Standard ASCII Set and characters 128 to 255 are considered to be in the Extended ASCII Set. These codes, however, may not be the same in all computers and files containing these characters may not display or convert properly by another ASCII program. ASCII characters are the ones used to send and receive email. It is also known as Gray Code after Frank Gray, is a binary numeral system where two successive values differ in only one digit.The reflected binary code was originally designed to prevent spurious output from elector-mechanical switches. Today, Gray codes are widely used to facilitate error correction in digital communications such as digital terrestrial television and some cable TV systems. This is a variable weighted code and is cyclic. This means that it is arranged so that every transition from one value to the next value involves only one bit change. The gray code is sometimes referred to as reflected binary, because the first eight values compare with those of the last 8 values, but in reverse order. The gray code is often used in mechanical applications such as shaft encoders. Unicode is an industry standard allowing computers to represent & manipulate text expressed in any of the world’s writing systems. It consists of about 10000 characters, a set of code charts for visual reference, an encoding methodology and a set of character encoding, rules, etc. It allows for combining characters as it contains precomposed versions of most letter combinations in normal use. This makes conversion to and from encoding simpler. It covers almost all scripts like Arabic, Bengali, Greek, Hebrew, Latin, Gujrati, etc. It is used in operating systems, email, web, fonts, etc. Numbers larger than 9, having two or more digits in the decimal system, are expressed digit by digit. For example, the BCD rendition of the base-10 number 1895 is 0001 1000 1001 0101. The binary equivalents of 1, 8, 9, and 5, always in a four-digit format, go from left to right. The BCD representation of a number is not the same, in general, as its simple binary representation. In binary form, for example, the decimal quantity 1895 appears as 11101100111. Other bit patterns are sometimes used in BCD format to represent special characters relevant to a particular system, such as sign (positive or negative), error condition, or overflow condition. The BCD system offers relative ease of conversion between machine-readable and human readable numerals. As compared to the simple binary system, however, BCD increases the circuit complexity. The BCD system is not as widely used today as it was a few decades ago, although some systems still employ BCD in financial applications. Inter-Branch Reconciliation: Inter-branch reconciliation is a major activity for banks and financial institutions looking to create a balanced co-ordination between their various branches and their activities. Inter-branch reconciliation can help the organisation discover any errors or negligence in transactions and make due changes. Information and communications technology (ICT) Audit. ICT audit is the process of collecting and evaluating evidence to determine whether a computer system has been designed to maintain data integrity, safeguard assets, allows organisational goals to be achieved effectively and uses resources efficiently. An effective information system leads the organisation to achieve its objectives and an efficient information system uses minimum resources in achieving the required objectives. 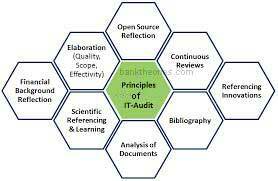 IT auditors must know the characteristics of users of the information system and the decision-making environment in the auditee organisation while evaluating the effectiveness of any system. Use of computer facilities has brought about radically different ways of processing, recording and controlling information and has combined many previously separated functions. The potential for material systems error has thereby been greatly increased causing great costs to the organisation. The highly repetitive nature of many computer applications means that small errors may lead to large losses. For example, an error in the calculation of income tax to be paid by employees in a manual system will not occur in each case, but once an error is introduced in a computerized system, it will affect each case. This makes it imperative for the auditor to test the invisible processes and to identify the vulnerabilities in a computer information system, as through errors and irregularities, the costs involved can be high. Increasing use of computers for processing organisational data has added new scope to the review and evaluation of internal controls for audit purposes. The IT internal controls are of great value in any computerized system and it is an important task for an auditor to see that not only adequate controls exist, but that they also work effectively to ensure results and achieve objectives. Also internal controls should be commensurated with the risk assessed so as to reduce the impact of identified risks to acceptable levels. IT auditors need to evaluate the adequacy of internal controls in computer systems to mitigate the risk of loss due to errors, fraud and other acts and disasters or incidents that cause the system to be unavailable. • Compliance with legal and regulatory requirements. Underpinning these goals and objectives is the need to ensure information technology, and the controls supporting such technology, assists the organisation to achieve its business objectives (effectiveness) with appropriate use of resources (efficiency). Confidentiality concerns the protection of sensitive information from unauthorized disclosure.Consideration needs to be given to the level of sensitivity to the data, as this will determine how stringent controls over its access should be.Management need assurance of the organisation’s ability to maintain information confidential, as compromises in confidentiality could lead to significant public reputation harm, particularly where the information relates to sensitive client data. Integrity refers to the accuracy and completeness of information as well as to its validity in accordance with business values and expectations. This is an important audit objective to gain assurance on because it provides assurance to both management and external report users that the information produced by the organisation’s information systems can be relied and trusted upon to make business decisions. Availability relates to information being available when required by the business process now and in the future. It also concerns the safeguarding of necessary resources and associated capabilities. Given the high-risk nature of keeping important information stored on computer systems, it is important that organisations gain assurance that the information they need for decision-making is available when required. This implies ensuring that the organisation has measures in place to ensure business continuity and ensuring that recovery can be made in a timely manner from disasters so that information is available to users as and when required. Reliability refers to the degree of consistency of a system or the ability of a system (or component) to perform its required function under stated conditions.Reliability is an important audit objective in order to provide assurance that the system consistently operates and performs its stated functions as expected. which the business process is subject, that is, externally imposed business criteria. should legal and regulatory procedures not be enforced. Phishing is a fraudulent attempt, usually made through email, to steal your personal information. The best way to protect yourself from phishing is to learn how to recognize a phish. Phishing emails usually appear to come from a well-known organization and ask for your personal information. such as- credit card number, social security number, account number or password. Often times phishing attempts appear to come from sites, services and companies with which you do not even have an account. What to look for in a phishing email? Phishing emails are usually sent in large batches. To save time, Internet criminals use generic names like "First Generic Bank Customer" so they don't have to type all recipients' names out and send emails one-by-one. If you don't see your name, be suspicious. Even if a link has a name you recognize somewhere in it, it doesn't mean it links to the real organization. Roll your mouse over the link and see if it matches what appears in the email. If there is a discrepancy, don't click on the link. Also, websites where it is safe to enter personal information begin with "https" the "s" stands for secure. If you don't see "https" do not proceed. The point of sending phishing email is to trick you into providing your personal information. If you receive an email requesting your personal information, it is probably a phishing attempt. Internet criminals want you to provide your personal information now. They do this by making you think something has happened that requires you to act fast. The faster they get your information, the faster they can move on to another victim. Phishing scams are usually presented in the form of spam or pop-ups and are often difficult to detect. Once the fraudsters obtain your personal information, they can use it for all types of identity theft, putting your good credit and good name at risk. Because phishing is one of the most devious forms of identity theft, it is important for you to become familiar with various types of phishing scams as well as to learn how to guard against them. * Try to upset you into acting quickly by threatening you with frightening information. When conducting online transactions, look for a sign that the site is secure such as a lock icon on the browser’s status bar or a “https:” URL whereby the “s” stands for “secure” rather than a “http:”. Also, beware of phone phishing schemes. Do not divulge personal information over the phone unless you initiate the call. Be cautious of emails that ask you to call a phone number to update your account information as well. * Never enter personal information in a pop-up screen. * Do not click on links in a pop-up screen. Name of different antivirus software. A means of making payments over an electronic network such as the Internet. Today, many users make payments electronically rather than in person. 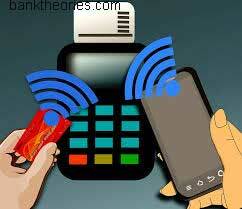 Hundreds of electronic payment systems have been developed to provide secure Internet transactions. Electronic payment systems are generally classified into four categories: credit card and debit cards; electronic cash; micro-payment systems; and session-level protocols for secure communications. 2. verify that the communications have not been changed in transmission. 3. ensure that the client and server are who each claims to be. Difference between OMR, OCR, and MICR. MICR is a character recognition technology used primarily by the banking industry to facilitate the processing of cheques. The human readable characters are printed on documents using a magnetic ink. It stands for Magnetic Ink Character Recognition. (Magnetic Ink Character Recognition is a character recognition system that uses special ink and characters. When a document that contains this ink needs to be read, it passes through a machine, which magnetizes the ink and then translates the magnetic information into characters. OCR stands for Optical Character Recognition. OCR is the recognition of printed or written text characters by a computer. It is the application software that allows a computer to recognize printed or written characters, e.g. letters, numbers, punctuation marks, and pictograms using an optical scanner for input. OCR is being used by libraries to digitize and preserve their holdings. (Often abbreviated OCR, optical character recognition refers to the branch of computer science that involves reading text from paper and translating the images into a form that the computer can manipulate (for example, into ASCII codes). An OCR system enables you to take a book or a magazine article, feed it directly into an electronic computer file, and then edit the file using a word processor. It stands for Optical Bar Code Reader which is used for reading bar-coded data. It scans a set of vertical bars of different width for specific data and is used to read tags. Bar code reading is done by a light pen or scanner connected to a computer. A digital signature is an electronic signature that can be used to authenticate the identity of the sender of a message or the signer of a document, and possibly to ensure that the original content of the message or document that has been sent is unchanged. Digital signatures are easily transportable, cannot be imitated by someone else, and can be automatically time￾stamped. The ability to ensure that the original signed message arrived means that the sender cannot easily repudiate it later. Just as handwritten signatures or physical thumbprints are commonly used to uniquely identify people for legal proceedings or transactions, so digital signatures ("digital thumbprints") are commonly used to identify electronic entities for online transactions. A digital signature uniquely identifies the originator of digitally signed data and also ensures the integrity of the signed data against tampering or corruption. One possible method for creating a digital signature is for the originator of data to create the signature by encrypting all of the data with the originator's private key and enclosing the signature with the original data. Anyone with the originator's public key can decrypt the signature and compare the decrypted message to the original message. Because only someone with the private key can create the signature, the integrity of the message is verified when the decrypted message matches the original. If an intruder alters the original message during transit, the intruder cannot also create a new valid signature. If an intruder alters the signature during transit, the signature does not verify properly and is invalid. In the RSA digital signature process, the private key is used to encrypt only the message digest. The encrypted message digest becomes the digital signature and is attached to the original data. Figure 14.7 illustrates the basic RSA Data Security digital signature process.To verify the contents of digitally signed data, the recipient generates a new message digest from the data that was received, decrypts the original message digest with the originator's public key, and compares the decrypted digest with the newly generated digest. If the two digests match, the integrity of the message is verified. The identify of the originator also is confirmed because the public key can decrypt only data that has been encrypted with the corresponding private key. lost transactions. Most accounting systems and database management systems include an audit trail component. In addition, there are separate audit trail software products that enable network administrators to monitor use of network resources.An audit trail (or audit log) is a security-relevant chronological record, set of records, or destination and source of records that provide documentary evidence of the sequence of activities that have affected at any time a specific operation, procedure, or event. Audit records typically result from activities such as financial transactions, scientific research and health care data transactions or communications by individual people, systems, accounts, or other entities. The process that creates an audit trail is typically required to always run in a privileged mode, so it can access and supervise all actions from all users; a normal user should not be allowed to stop/change it. Furthermore, for the same reason, trail file or database table with a trail should not be accessible to normal users. Another way of handling this issue is through the use of a role-based security model in the software. The software can operate with the closed-looped controls, or as a 'closed system,' as required by many companies when using audit trail functionality. In accounting, an audit trail is the sequence of paperwork that validates or invalidates accounting entries. In computing, the term is also used for an electronic or paper log used to track computer activity. For example, a corporate employee might have access to a section of a network in a corporation such as billing but be unauthorized to access all other sections. If that employee attempts to access an unauthorized section by typing in passwords, this improper activity is recorded in the audit trail. My father has a shop of gift items, and now he is trying to create a website to broaden the business area and get more number of customers with ease. I am not a cyber expert, so I am ready to join data protection officer training courses and help my father in running the online business in a risk-free manner.